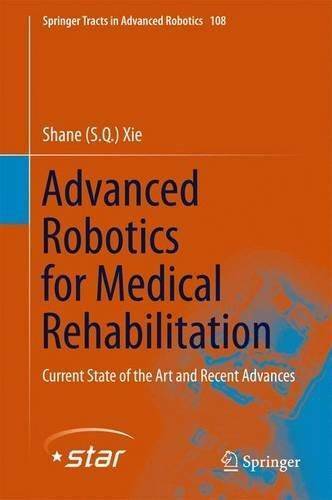 Focussing on the key technologies in developing robots for a wide range of medical rehabilitation activities – which will include robotics basics, modelling and control, biomechanics modelling, rehabilitation strategies, robot assistance, clinical setup/implementation as well as neural and muscular interfaces for rehabilitation robot control – this book is split into two parts; a review of the current state of the art, and recent advances in robotics for medical rehabilitation. Both parts will include five sections for the five key areas in rehabilitation robotics: (i) the upper limb; (ii) lower limb for gait rehabilitation (iii) hand, finger and wrist; (iv) ankle for strains and sprains; and (v) the use of EEG and EMG to create interfaces between the neurological and muscular functions of the patients and the rehabilitation robots. 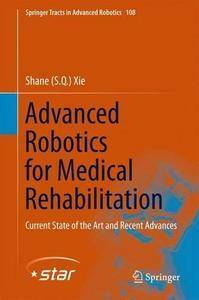 Each chapter provides a description of the design of the device, the control system used, and the implementation and testing to show how it fulfils the needs of that specific area of rehabilitation. The book will detail new devices, some of which have never been published before in any journal or conference.